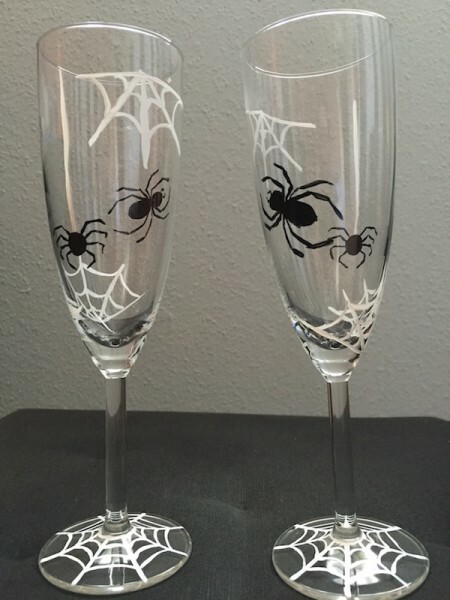 Spiderwebs and spiders on a sparkling wine glass. Sold as set of two 5 oz. glasses. Hand washing recommended.